We cannot be certain how exactly the Manhattan cocktail came into existence. It's no surprise that most people believe it originated in New York, but the specific circumstances surrounding its creation are unclear. One popular story is that it was invented in 1870 at the Manhattan Club for a banquet hosted by Winston Churchill's mother, although this is probably fiction because she was pregnant and in France at the time. There are competing stories and documentation of its appearance even earlier at bars in the area. 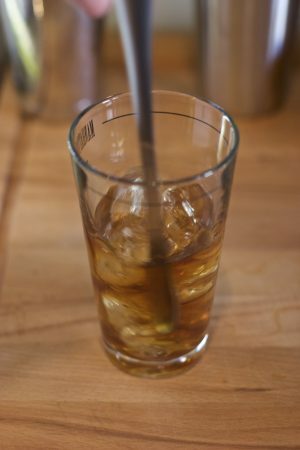 The typical recipe includes whiskey, sweet vermouth, and bitters. This combination was historically categorized as a cocktail—a word usually reserved for a concoction of spirits, sweetener and bitters. Other drinks in this category include the Sazerac and the Old Fashioned, but the word cocktail today no longer carries such a strict definition. The Manhattan is what some would consider a strong drink because the flavors are spirit-based as opposed to something that might contain fruit juice. That's not to say it should taste boozy and unbalanced—it also contains water as a result of stirring with ice. The proportions of this drink, depending on who is making it, can range from equal parts whiskey and vermouth to a much drier 4:1 ratio. It's common for a typical Manhattan to fall somewhere in the middle. The bitters, often Angostura, are doled out in dashes and should never be skipped. Most cocktail aficionados would agree that it's the bitters that brings the whiskey and vermouth together, seasoning the cocktail and elevating the flavors. I've seen Manhattans served in all shapes and sizes, garnished with citrus peel or a cherry and served on ice or straight up. They can come both shaken or stirred, in lowballs or cocktail glasses. 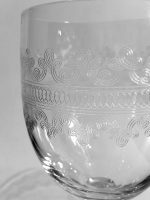 Here again, opinions vary, but if you are interested in reproducing this classic the way it was originally intended (and following the way I like to make it) you will stir with ice, NOT shake it, and you will serve it up, in a chilled cocktail glass or coupe, either with a cherry to garnish or no garnish at all. Combine ingredients in a mixing glass, fill with ice, and stir. Take time while stirring to allow some dilution to occur and continue so that the drink is completely chilled. Strain into a chilled cocktail glass or coupe and garnish with a cherry. The basic recipe is just that—no mention of specific brands. Although this is somewhat intentional at this stage, specific choices must be made. The first choice you have is whiskey. With so little to this drink, your choice of whiskey is important. Go with something you like. The whiskey you select will definitely affect the flavor of your cocktail, so choosing a better spirit will result in a more enjoyable cocktail. Tradition suggests using a rye whiskey, but that's not essential. Any fine bourbon will make an excellent Manhattan. You can use a Scotch whisky too, but you have to change the name to a Rob Roy! It's also possible to make a Brandy Manhattan or even a Cuban Manhattan using rum, but that's not what we're after. Picking a whiskey is one thing, but when it comes to vermouth, there's some more opportunity to get creative. If you are not making a lot of Manhattans and you own a bottle of red, sweet vermouth, it's probably one of those spirits that just sits in the back of the cabinet. Maybe even your dry vermouth only comes out to play when it's time to mix a Martini. Why not pull them both out? 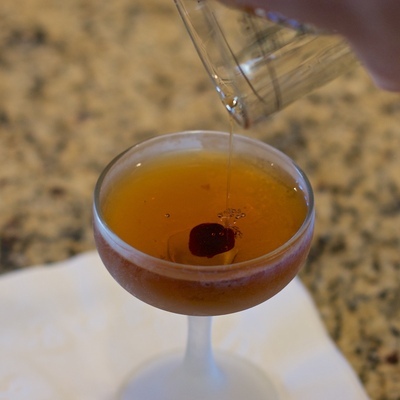 Substitute dry vermouth for half of the sweet to create what is referred to as a Perfect Manhattan. If there's a lot of dust on your bottles, it might be time to replace them. 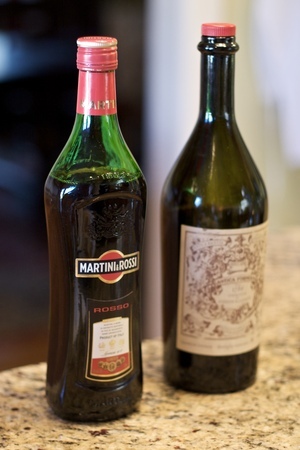 Some experts say you should store vermouth in the refrigerator and that the old bottle you've had in the dark corner needs to be thrown out. Whether or not you believe it, there's opportunity to upgrade. I have always thought of red, sweet vermouth as barely tolerable. It never really did anything for me, and for under $8, I guess I couldn't expect much. That's where Carpano Antica Formula differs. Sure, it's $30 instead of $8, but it's worth it. Carpano Antica is made by the Branca distillery in Italy using an original 1786 recipe. It's delicious. As such, so is a Manhattan (or any cocktail) made with this stuff. Bottles are numbered and production is limited. That makes it harder to find than a typical bottle of sweet vermouth, but once you do, you won't go without it again. You can find it online, or if you are in the Twin Cities, I picked up mine at France 44 where I had to ask for help because it was hidden among the gins in a fancy metal tin. When you have swapped out some of the sweet vermouth for dry and created a Perfect, or splurged on the Carpano to bring the flavors up several notches, it's time to try replacing the sweet vermouth entirely! I give you, the Dogwood Manhattan. You may have read the review I wrote after my wife and I visited The Violet Hour in Chicago. Our experience was unusual because instead of sampling the fantastic variety of cocktails offered, we got "stuck" on the Manhattan. But this was a good thing. We had the incredible fortune of being served by the manager, Michael Rubel. The moment my wife, Kimberly ordered the Dogwood Manhattan, our evening shifted. This drink was Michael's creation, and he was very interested in our opinion of it. He also served us variations with different whiskey and preparations he was considering for a fall menu. While we didn't think to ask for the exact recipe, the drink menu does list the ingredients for all of their cocktails. So, with some experimentation and opportunity to share my version with others, I think I have come very close. Oddly, this Manhattan has no sweet vermouth. 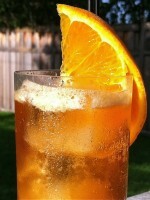 It uses Woodford Reserve bourbon, Amaro Nonino (an Italian bitter aperitif) and Noilly Prat. Finally, and this is probably the most important part, it uses house-made peach bitters. Cocktail bitters, which I just barely mentioned earlier, is a very important part of the Manhattan, and in the Dogwood, this cannot be understated! Fee Brothers makes a peach bitters, but the peach flavor is overstated compared to the house version we had in Chicago. According to Toby Maloney, partner and head mixologist at The Violet Hour, his house peach contains 40-some botanicals. He suggests approximating it by combining: Fee's Peach, watered down with a bunch of Peychaud's, a bit of Angostura, Regan's Orange and a touch of Bitter Truth Choco. Got all that? Stir with ice cubes for 45 seconds. Strain into chilled cocktail glass. No garnish. Sip, and imagine you are strolling through a forest of dogwood blossoms. Making the Dogwood at home has been an interesting challenge. I'd love to get the real recipe some day just to verify my proportions, but knowing that it will never be exactly like the one we had at The Violet Hour will help keep the original cocktail at legendary status. Still, I think I have a decent facsimile and I'll continue to enjoy this version, even if my combination of bitters seems twisted and unusual. With all that the Manhattan has to offer, I don't really mind getting it wrong once in a while! 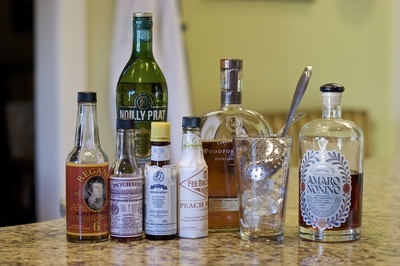 As you can see, even with a drink this basic, there are still plenty of ways to experiment. And, despite it's many variations, the Manhattan has stayed surprisingly true to it's original design, surviving the torturous journey through Prohibition and maintaining an important place in cocktail history. So, grab a bottle of Angostura Bitters, dust off that sweet vermouth and give the Manhattan a try. Few drinks that are this easy are so rewarding!